All concrete block 3/2 home with two car garage on quiet street. You will love the covered open front porch and 18'x12' Florida room on the back of the home with acrylic windows and screens for year round enjoyment and additional parking for friends and family on the over sized concrete driveway. Updated kitchen with solid wood cabinets, granite counter tops, and ceramic tile floors throughout main living area with vaulted ceilings, fresh paint, and two solar tubes for natural light to pour in. The master suite is sure to catch your attention with plenty of room for a sitting room, home office etc. and leads out to an open side porch and back yard. Plenty of privacy in the backyard with fencing and two storage sheds. Sprinkler system using private water source through community and only $360 per year for unlimited water usage. New carpet in the two smaller bedrooms, new drain field 7 years ago, roof replaced 10 years ago and water heater replaced 8 years ago. Enjoy this quiet subdivision with No HOA and only minutes to hospitals, community college, shopping and so much more. 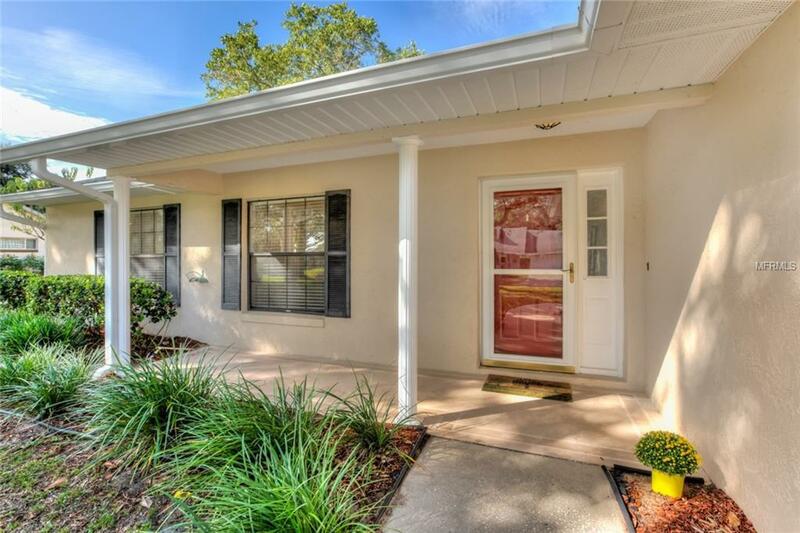 One hour from Orlando and Disney & 20 minutes to The Villages.